The “Old Line State” is famous for its blue crabs, horse racing and for 65 years, the finest antique arms show in the country. 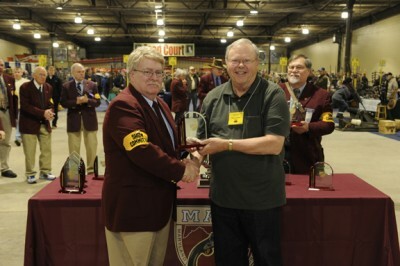 The “Baltimore Show”, as hosted by the Maryland Arms Collectors Association on the third weekend of March annually, is considered to be the finest arms show of its kind. With over 1,000 tables of the finest in collectable rifles, revolvers (pre-1898) and sporting shot guns, the Baltimore Show attracts thousands of serious collectors from across the globe. It is considered the “must attend” event of the gun collector year. The Baltimore Show is open to the public on Saturday from 9 AM to 5 PM, and Sunday from 9 AM to 3 PM. Admission is $10.00 Saturday and $10.00 on Sunday.